Sarto Antonio, finest handmade custom bicycles since 1950. Superior Italian craftsmanship: this is the defining element of the company founded by Antonio and his son Enrico, who are proud to represent, both at home and abroad, the pride and tenacity of a nation so rich in creativity and enthusiasm. Northern Ride is a proud authorised retailer of Sarto Antonio in the UK. The 100% Handmade in Italy trademark is the strength they both believe in and the means that has allowed them to establish their name and gain market share over the years. More than 2500 frames are produced each year thanks to a team of specialists, starting with the design of the frame, to the cutting and laminating of the tubes up to the painting and testing. 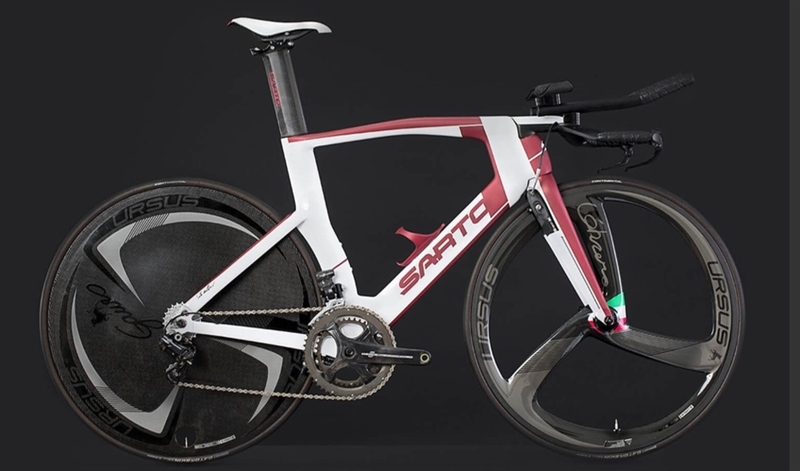 Sarto Antonio are available to purchase in the UK as framesets from £3359 or complete builds. The frame can be built in a standard geometry size or can be tailor made to your specific needs. If you would like to discuss your custom build or book an appointment to for measuring please contact us at ash@northernride.com or call 01653 699070. Just as a tailor would measure his client up for their clothes we will need to take some of your measurements to enable us to design your frame. When visiting us at Northern Ride we will take your measurements and discuss your current and future cycling aspirations. Sarto have over 50 years’ experience of building custom geometry frames. We also have experience in completing the process at a distance with our international customers, contact us for more details. Once we have your key measurements and some other simple data we will supply you with your own custom, scale frame design. Once this is approved the average time required to build your frame is 6 to 8 weeks. Painting your frame then takes from one to four weeks depending on the complexity of your design. Custom geometry is supplied at no additional cost. We can custom build a Sarto to your specification. At Northern Ride you can either purchase a frameset or a complete bike, we will discuss the options and prices available to ensure you get the correct equipment for your Sarto frameset. Use our drop down boxes below and click 'update price' to work out an idea of cost for your custom build. Sarto now offer free paintwork customisation when a simple alteration is requested such as different colours or plain designs. If a paint finish is more complicated such as camouflage or requires an in depth design process there is an upcharge of £250. In addition a £100 upcharge is incurred if a customer qwuld like their name painting onto the frame. In each case we will help you design your frameset throughout the process supplying you with high resolution artwork for you to amend and approve. Personalization is our strength, which allows us to satisfy the customer’s every need: the choice of materials, the shape of the tubes, made-to-measure geometries, graphics and reinforcements in Kevlar or titanium/carbon. Every feature of a Sarto frame can be changed and selected by the customer. Each year we design and create new models, which are presented at the most important trade fair before making their way around the world. Every year we renew our selection of frames by researching and studying improvements to apply to new products. We dedicate months of our time to research and experimentation, creating new products and testing them first on the computer and then letting our team test them on the road, to always ensure the highest performance and yield. We believe in the services we offer, we believe in the product made entirely in Italy with our own hands. Thanks to this combination of factors, we are positioned in an exclusive market segment, allowing our flag to outshine over other nations, without fear of competition. We believe in Italy, we believe in our work. Our products are available in made-to-measure sizes with custom tubes or materials best suited to meet the needs of athletes. All of these advantages make the frame unique in every sense. Carbon, as we see it, is used in many industries mainly for applications subject to extreme conditions, from boats to aircraft, from buildings to sporting equipment, from the biomedical to the engineering fields. The company has been working with carbon for more than 15 years, from the time when frames wereglued together at the joints. Starting in 2002, the company began producing laminated frames, aprocess that originated from the need to “customize” and make every piece unique.